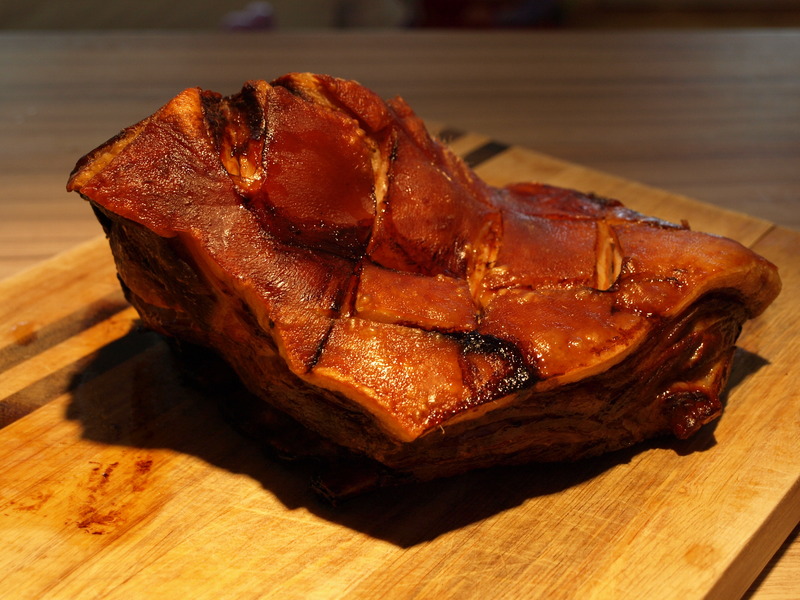 I was asked recently what my signature dish is and chose this recipe which uses the thick end, or ribs attached belly joint of pork. You don’t often see this wonderful cut in the supermarket but any decent butcher will have it, and it’s reasonably priced at around £6 per kilo. Another way to get your hands on rarer cuts is to animal share with friends. This is my favourite way to buy meat, and in our house we regularly buy a quarter of a pig from our local farm shop. They do all the messy work, and it comes to us neatly bagged and clearly labelled ‘thick end’ ‘chops’ ‘leg’ etc. It’s a sight to behold on delivery day and the savings to be had are huge! This dish couldn’t be simpler to prepare and always provides a suitable amount of wow factor when guests come over. I like to place the meat in the centre of the table and let everyone carve off their own portion, caveman style. Served with a jug of my barbecue sauce (recipe below), some homemade coleslaw and a big bowl of seasonal root veg fries I’ve not had a complaint yet. Although it sounds unconventional, this bbq sauce really is fab. The coffee gives such a smoky depth of flavour you’ll want to pour it over everything. This recipe is very easy to make, completely natural and doesn’t contain tons of added refined sugar. Why not give it a go and use in place of ketchup? My husband and I met and bonded over White Russians. We drank them daily in the throws of our courtship, whilst travelling around Asia. Oh my that does sound romantic 😉 Nine years, two kids and a dairy intolerance later, and unsurprisingly not many White Russians have been consumed! 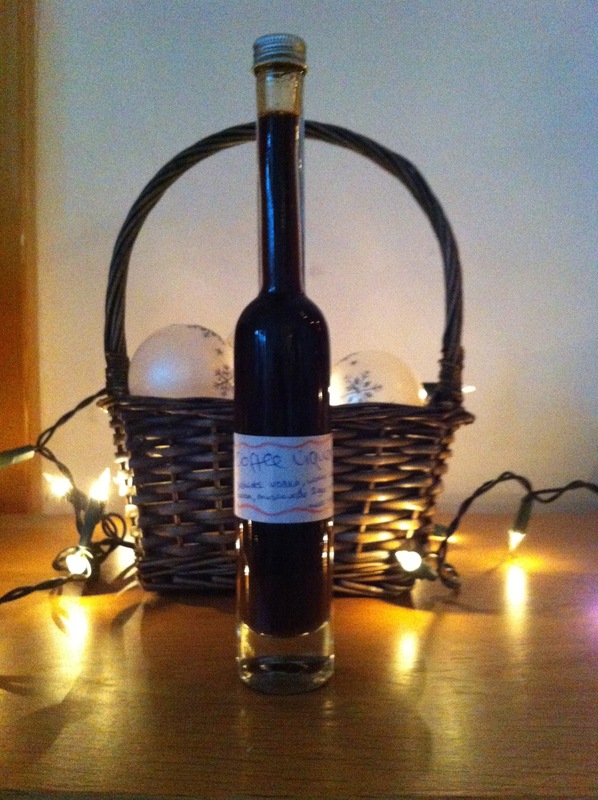 As a Christmas treat I made this coffee liqueur and we drank it with goats milk, tasted like an adult milkshake – divine. 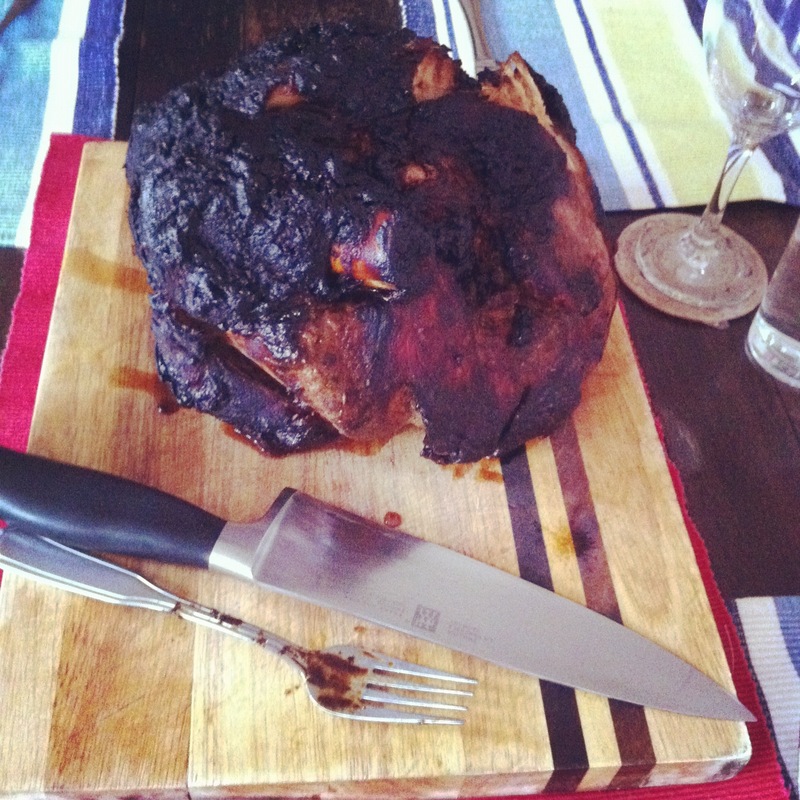 We bought another quarter of a pig last week, and served up this super succulent slow roasted leg for my in-laws Sat lunchtime. I’ve adapted a barbecue sauce recipe over time, which was used as the marinade, and oh my goodness it was delicious. Everyone had seconds…and thirds… always a great compliment for any cook! 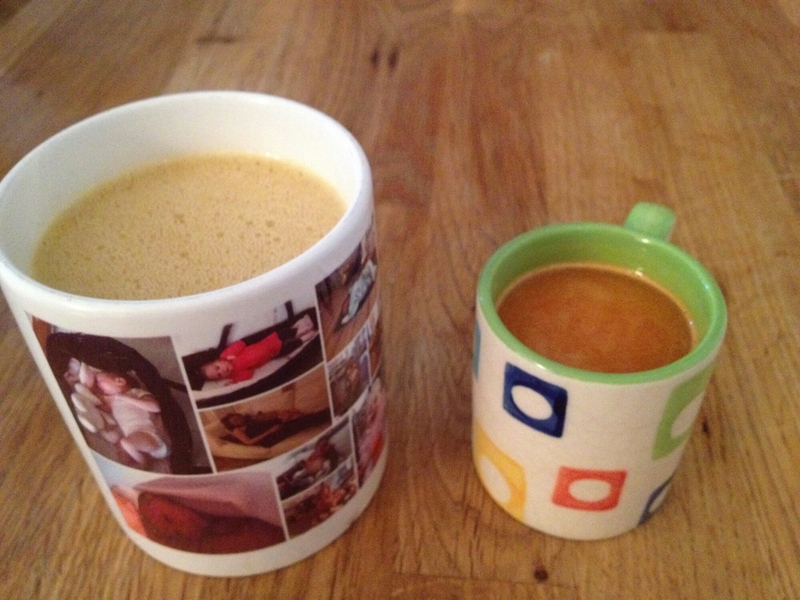 Brew a double espresso, and put it into the blender along with 225ml of recently boiled water, a large knob of butter (around 15g) and a heaped teaspoon of coconut oil. Whizz it all together and every day be amazed that it tastes better than any latte I’ve ever bought.